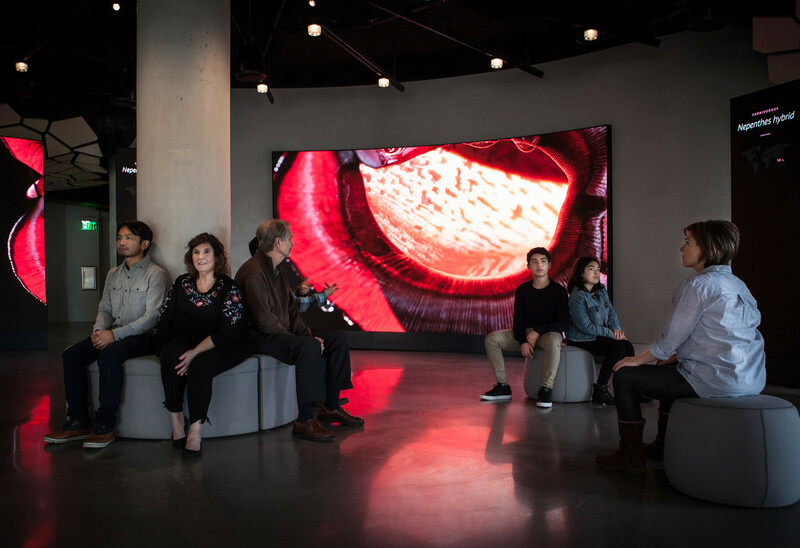 Media installation focused on macro views of The Sphere's plant collection and Sphere fly-through tour sequences. 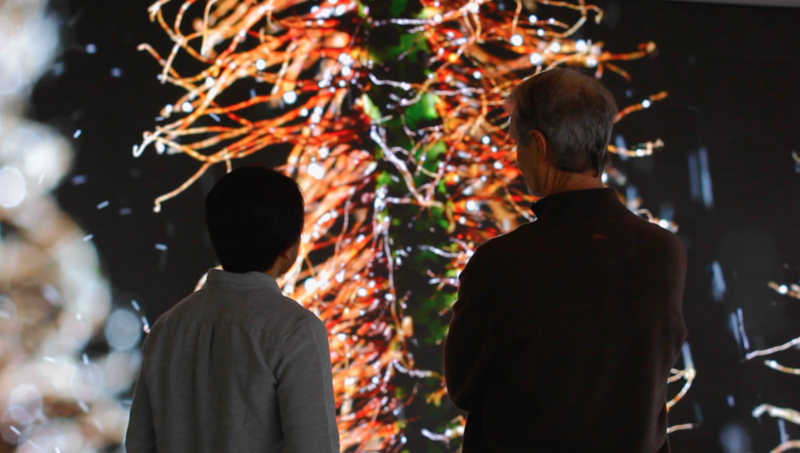 Visitors are able to relax and enjoy an immersive plant experience, coupled with a generative soundscape. Visitors are surrounded by highlights from one of top plant collections in the world. 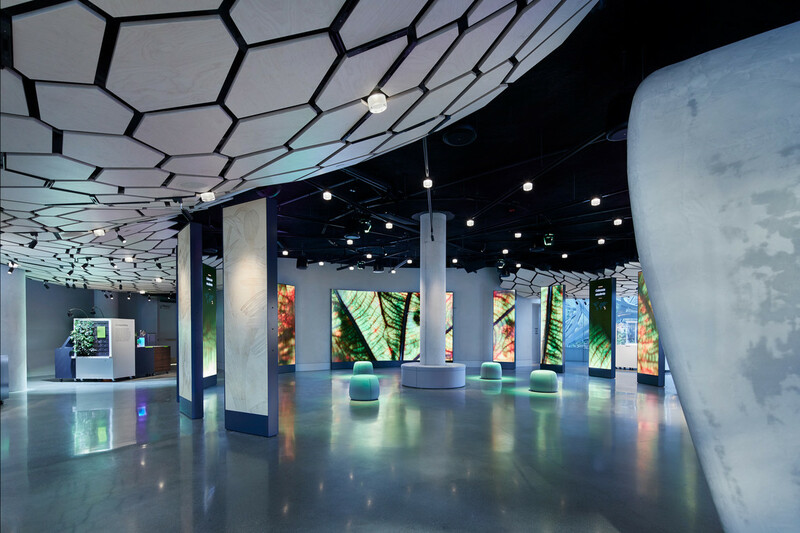 Themed modular exhibits contain multi-touch interactives (Sphere Discovery Stations) to engage visitors with media-rich stories. Input sensors enhance the experience—even before they touch it—as the digital content responds to the movement of their hands. View into media installation at Understory—made up of a large curved LED wall and eleven supporting LED columns. 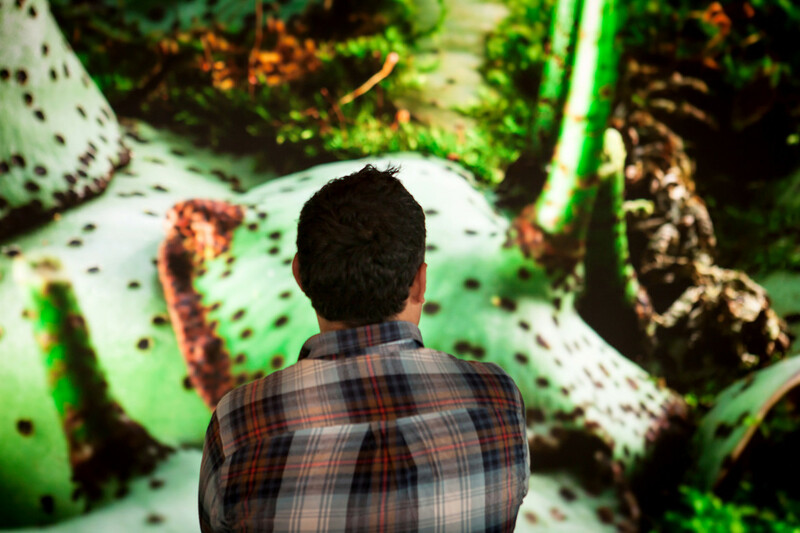 Visitors are immersed in beautiful macro videography of carnivorous plants. Eleven columns of high-resolution LEDs present video content around visitors. The Spheres is the latest addition to Amazon’s downtown Seattle headquarters. The innovative building offers employees a work environment that’s more like a rainforest than an office. 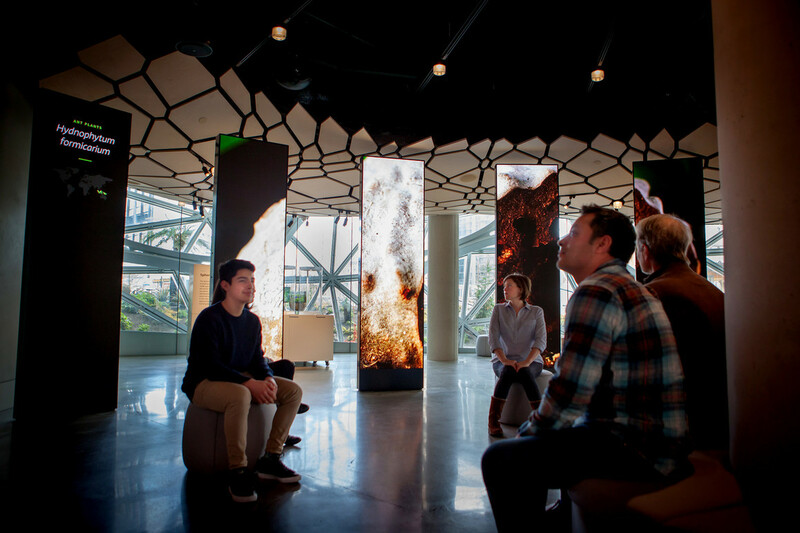 To properly explain this groundbreaking new building, Amazon set out to establish a free, public visitor center at The Spheres, called Understory. Amazon assembled an accomplished team of local Seattle companies to design the exhibit space. The group included Graham Baba Architects, exhibit designer Studio Matthews, media experience designer Belle & Wissell, Jill Randerson Exhibit Management, filmmaker The Radisch, Co. (and Strangelife), fabricator Dillon Works, and a/v integrator Whitlock. 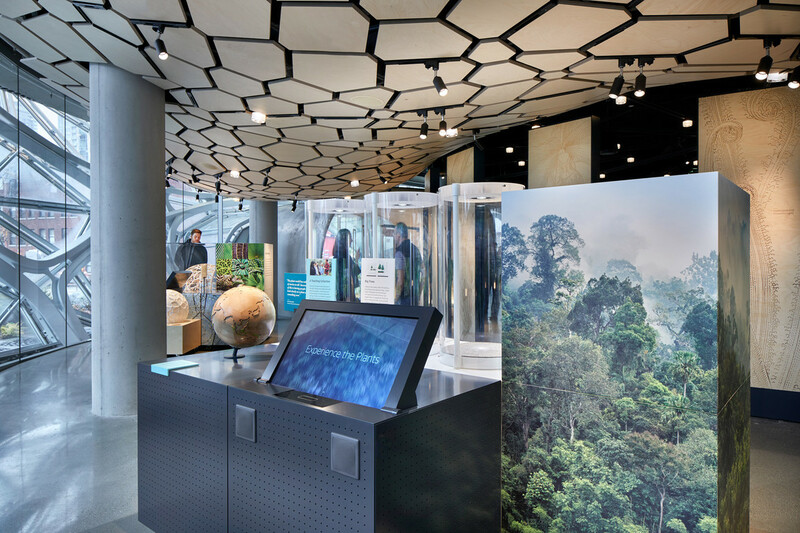 The name Understory refers to the lush habitat between the rainforest floor and canopy, and provides a fully immersive, 360-degree experience where visitors can get up close and personal with the science, engineering, and plants behind The Spheres. 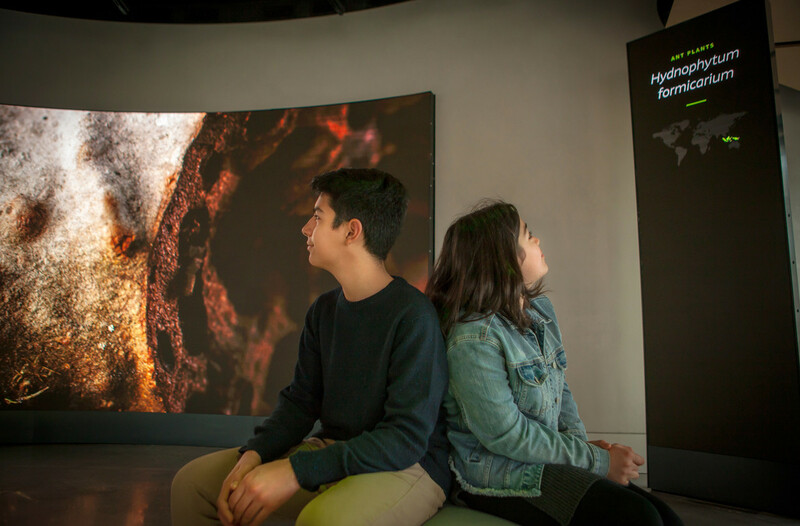 At a central media installation designed by Belle & Wissell, visitors can take in sweeping interior views of The Spheres above, as well as stunning macro footage of its world-class plant collection. The experience is composed of a large curved LED display, surrounded by LED columns at regular intervals. Interpretive zones within—demarcated by pools of light and featuring directional audio—offer voiceover descriptions of the plants on view. A generative soundscape, composed by Jesse Solomon Clark, enhances the experience. 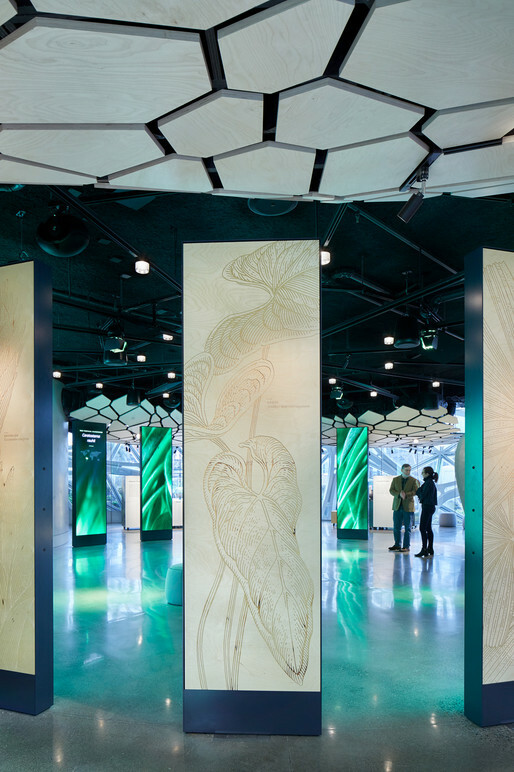 Five modular exhibits, situated throughout Understory, offer more information about Amazon, The Spheres, and the world-class plant collection within. Each station features an engaging physical interactive (designed by Studio Matthews) as well as a touchscreen interactive (designed by Belle & Wissell)—presenting unique topics through a playful interface, encouraging further discovery. Film Production: The Radisch, Co.